From a young age, Eleni Kollias-Panagakis had a penchant for planning. She recalls jumping at the chance to organise a party, and would be the first one beside her mother Angie every time a holiday rolled around to help set and decorate the dinner table, complemented with beautiful flowers selected by her mum. Despite their passions however, both social, they each moved into customer service, while planning and working on events at the request of close family and friends. So when the opportunity rolled around to finally set up their own events company in 2011 and officially combine their interests, Eleni and Angie jumped at the chance - and Limani Designs was born. "It was only natural that my mother and I would work together as we share a passion for creativity. We both put in a lot of hours to do what we love best," Eleni tells Neos Kosmos. It is great to look back now and think that those first events were going to lead us to this venture. Together the mother-daughter team cater for all types of functions ranging from weddings and christenings, to baby showers, birthdays, and corporate events. "We offer complete event design services, including design overview and creation, colour palette guidance, as well as set up and placement of all décor. 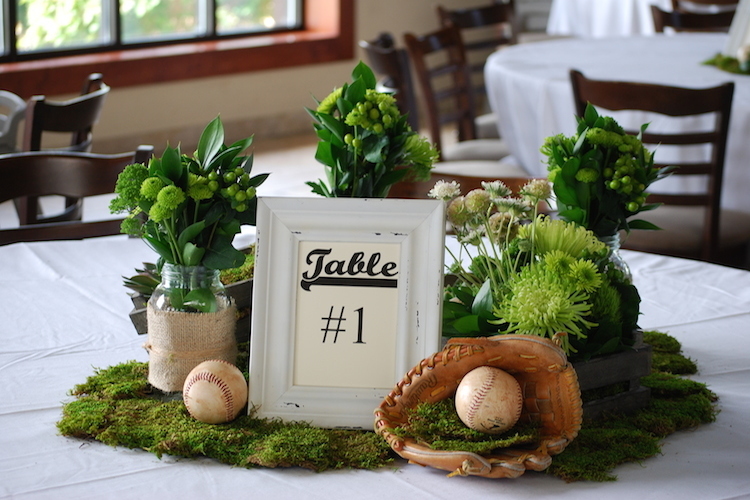 We create custom invitations, custom ceremonial candles and floral arrangements." 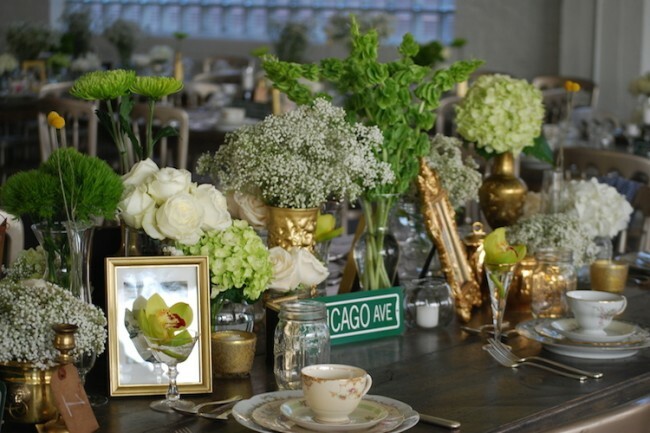 As a result, each event is filled with little details that make the whole look come together. Starting with the colour palette that is consistently present throughout, Eleni and Angie set out to create a design that tells a story that is truly representative of their clients, but with the Limani designs aeshetic which can be described as clean and elegant with lots of fresh floral and greenery details. Based in Chicago, Illinois, at the age of one Eleni and her parents moved to Agrili, a small village outside of Filiatra, Greece where they lived for seven years before returning to Chicago. The experience is one she recalls fondly, forever leaving an imprint on their hearts; subsequently it would prove to be the inspiration behind their company name. Limani Designs is not the only service of its kind, but there's no denying they have somethiong special going. With their customer service backgrounds - Eleni worked for the likes of Gap, Coach, Ralph Lauren, Harpo Studios, and most recently Hermes, while Angie has been employed by Marshall Fields and now Macys - two things they understand are people and service. 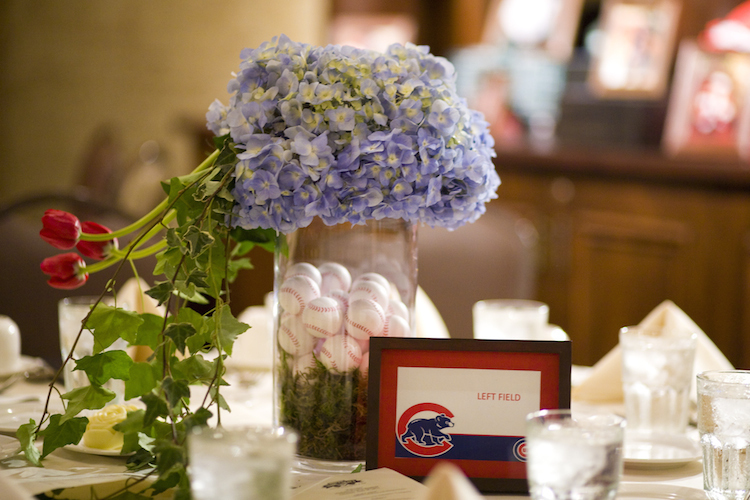 "What we wanted to create was a one-stop shop to design and plan special events. It makes our client's life easier as they don't have to do all the running around; we take care of all that. We ensure that each event is perfect and worry-free," Eleni says. Plus, you know those people you meet that exude a warmth as though they're a long-lost friend? Well that's them, and is in large part why despite having worked on hundreds of events, they can't seem to pick a favourite. "Each time we plan an event we say to ourselves, 'This was our favourite' ... until our next event comes up. "This is because we make each event unique, adding various elements that surprise guests. We customise each project we work on and make them truly one of a kind, whether that means hanging floral arrangements, using vintage glassware or even having live goldfish in fish bowls throughout the design," she says. At which point, the mention of live goldfish has me wishing I could relocate to Chicago for my next birthday bash. Now with spring rolling around in the northern hemisphere, it signals a busy period for the Limani team who are in the middle of designing several events due to be realised over the coming months. Meanwhile they are also working on an Easter project, spearheaded by Angie, who creates original lambades (Easter candles) with unique features that both children and adults can enjoy. "Each lambada is special, original and one-of-a-kind. 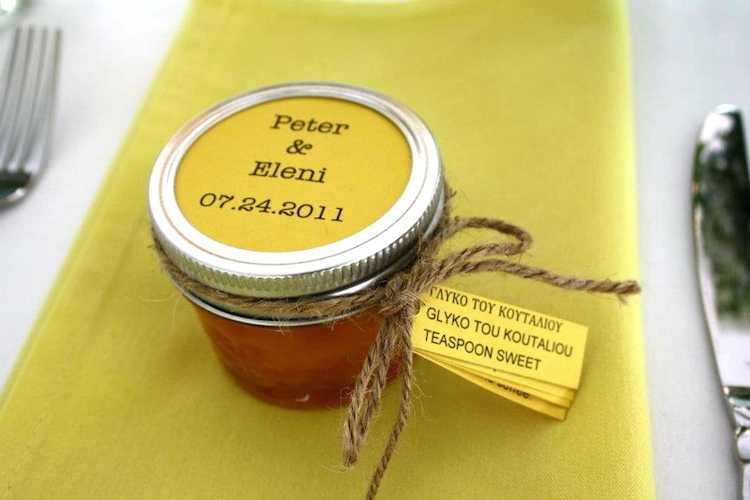 Many include pieces that the children can have as keepsakes and to play with," adding a modern twist to a Greek tradition, and just one of what seems to be a never-ending source of inspiration, which Eleni greatly attributes to her bond with her business partner, who is, first and foremost, mum. "Getting inspiration can come at any moment and we rely on each other to bounce ideas off of one another. We talk on the phone a few times a day excited with a new project coming our way or finding that perfect ribbon. Limani Designs is definitely a true partnership between the two of us." With some things you've either got it, or you don't, and the Kollias women certainly do.